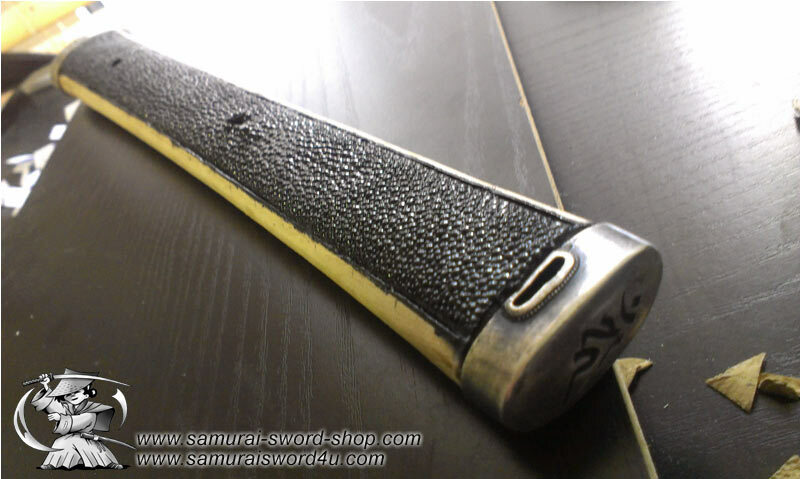 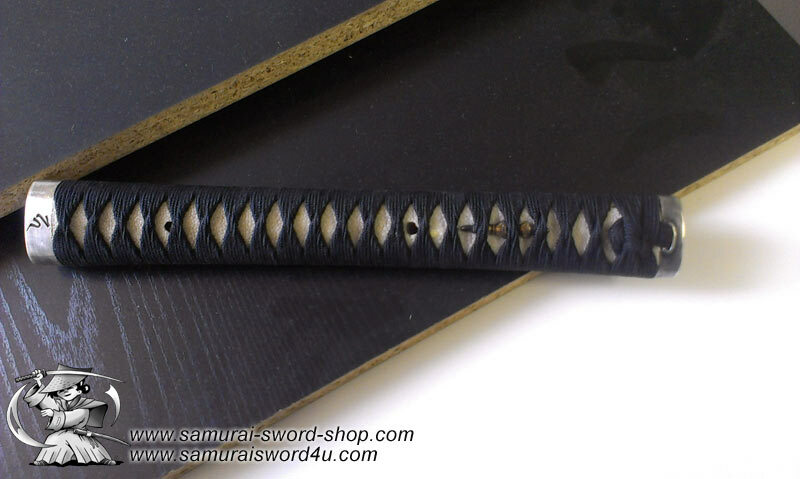 Quality of rayskin not that bad, just a pitty they’ve place the nice nod that high on the tsuka. 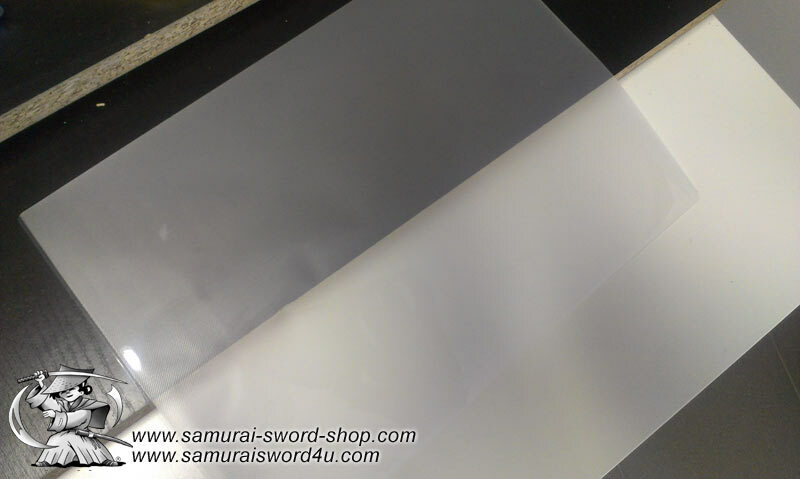 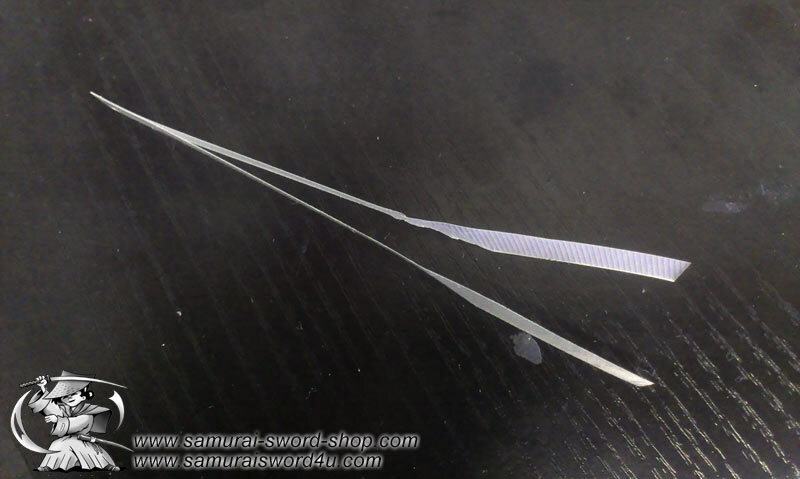 Here you can see a typical example of ‘Chinese’ hishigami..very thin pieces of paper that really doesn’t make a difference at all when wrapping. 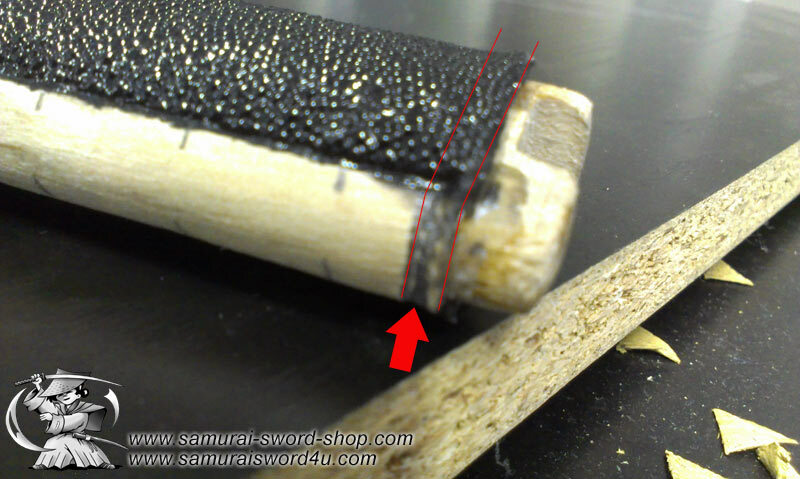 Marking our tsuka core in order to know if we need to shorten it yes/no and in order to make a nice even wrap where the ito forms nice horizontal lines. 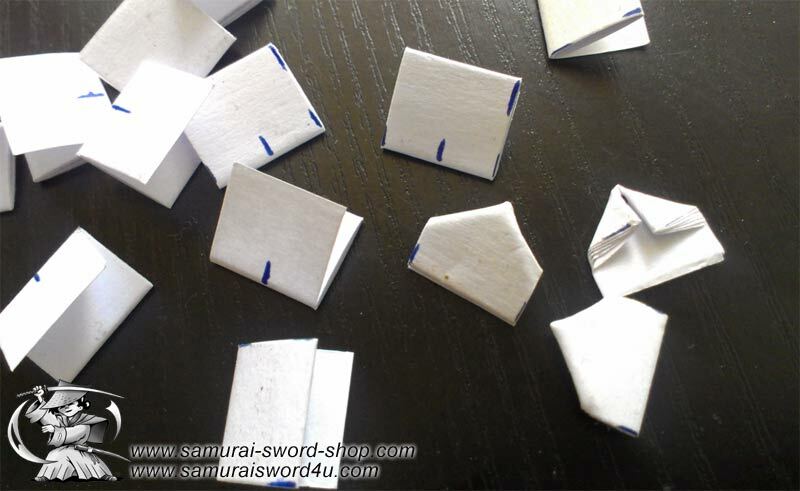 Folding a piece of paper to fix our hishigami. 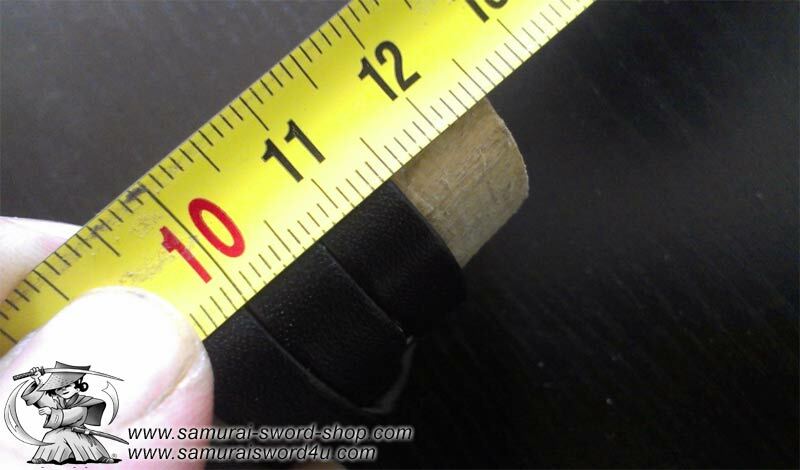 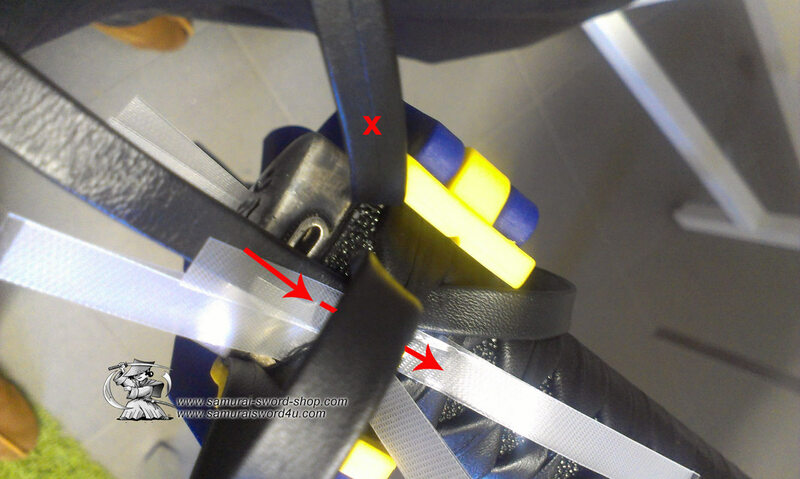 In this case i made the width of them 13mm (since the ito, when pulled thight measured around 14mm). 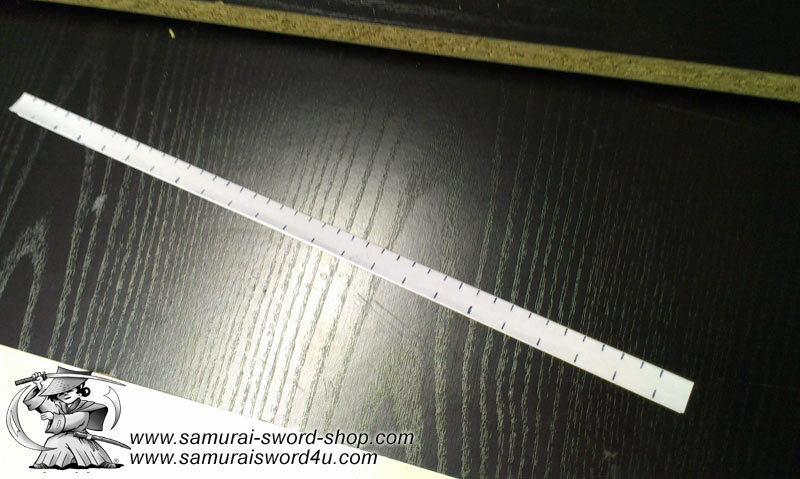 I started to fold the paper around 9mm and folded it for 5-6 times. 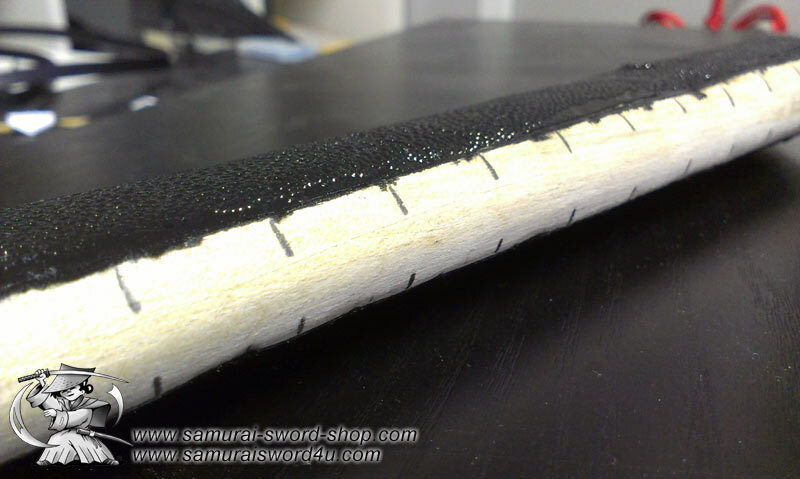 Making it too thick will give us problems when we need to fold over the sides (next pic). 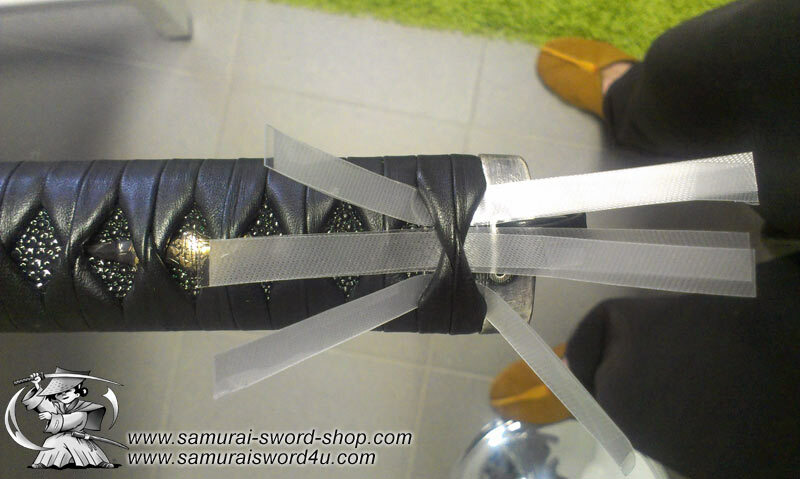 This is the part that need to go..
First diamond.. keep it tight ! 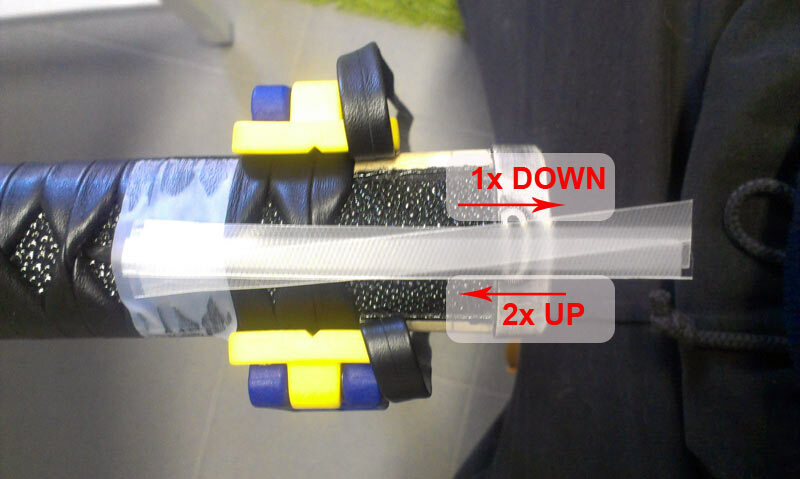 There are diffrent ways to make the end knots, this is mine 🙂 Taking a piece of plastic to laminate paper and cut out our ‘helping hands’. 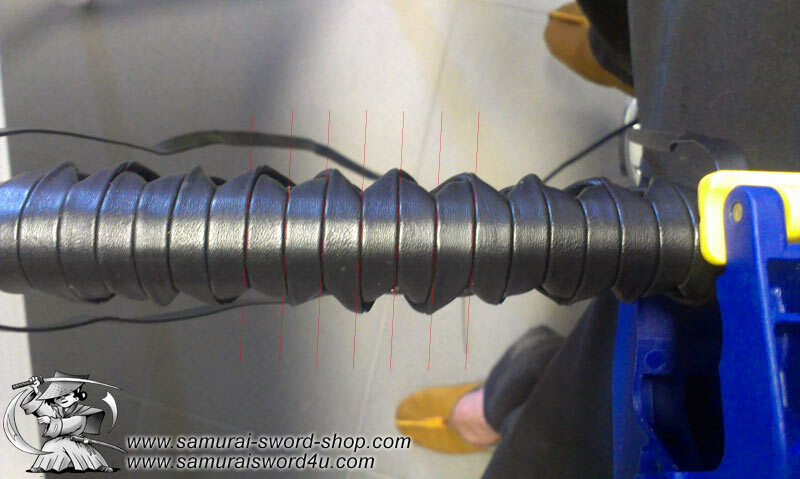 Some are using a straw but i personally feel they’re to thick to work with. 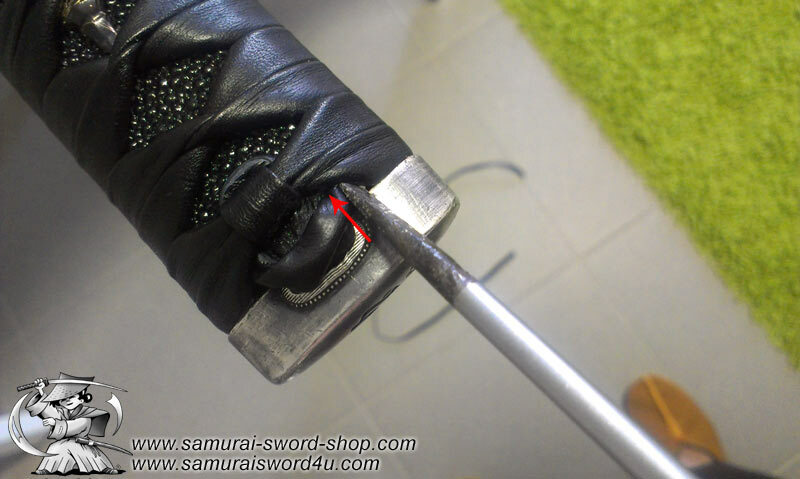 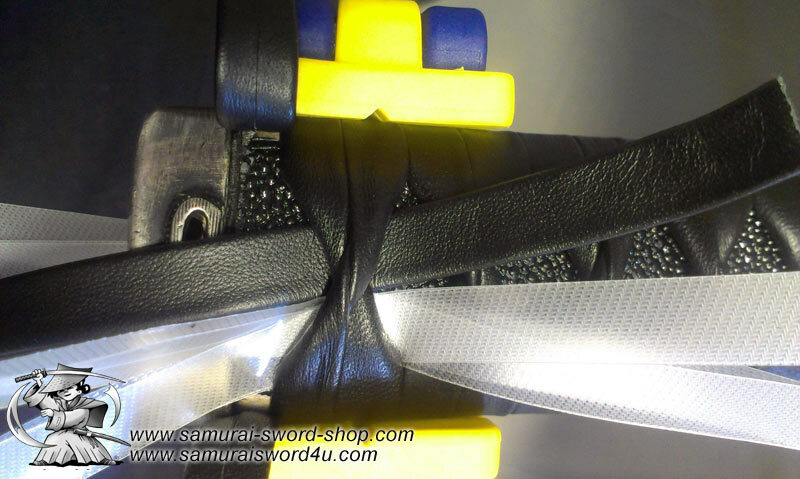 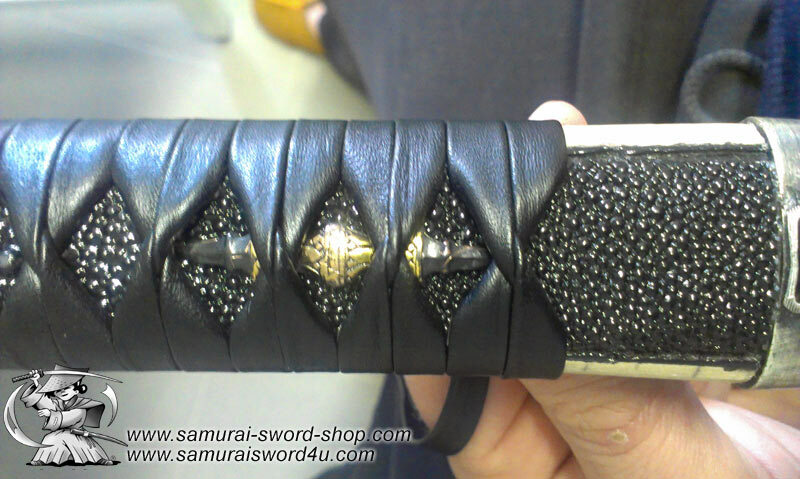 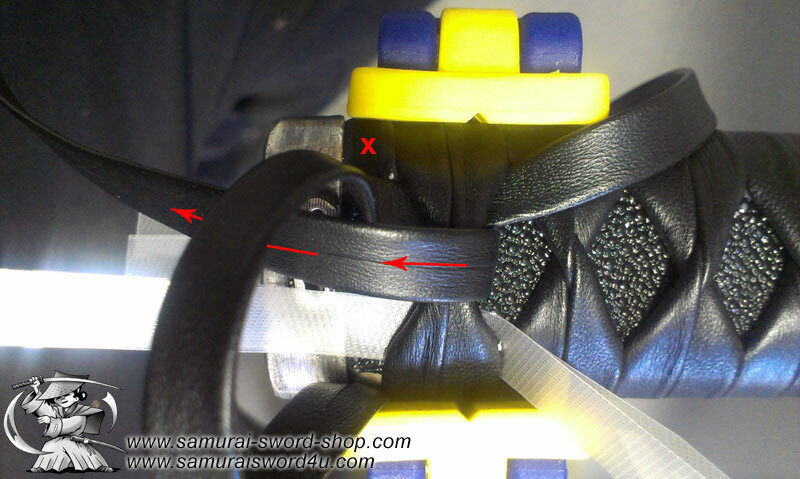 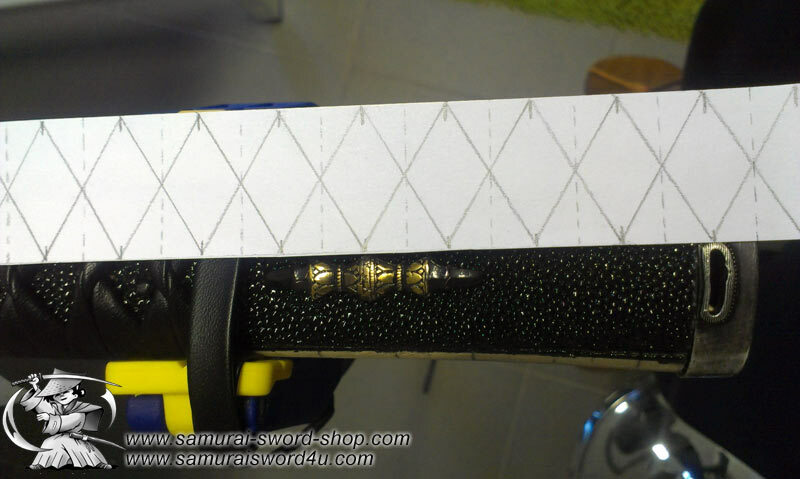 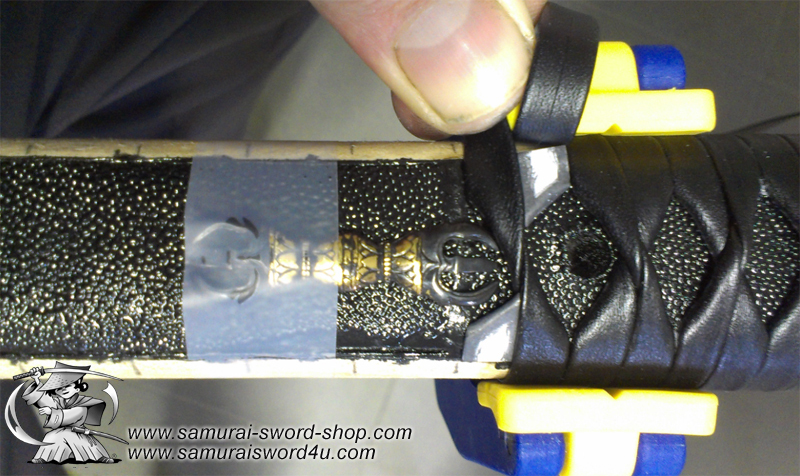 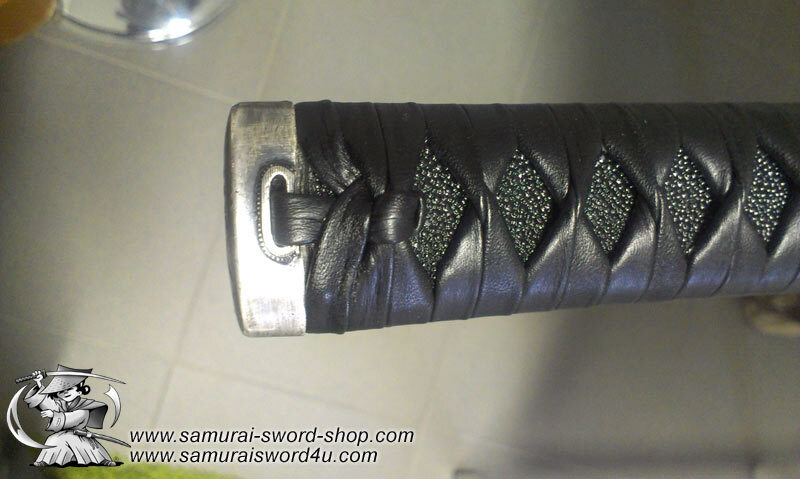 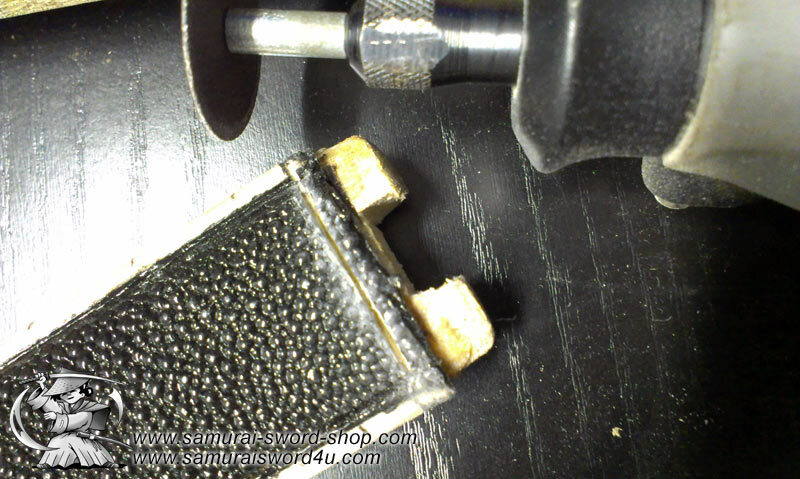 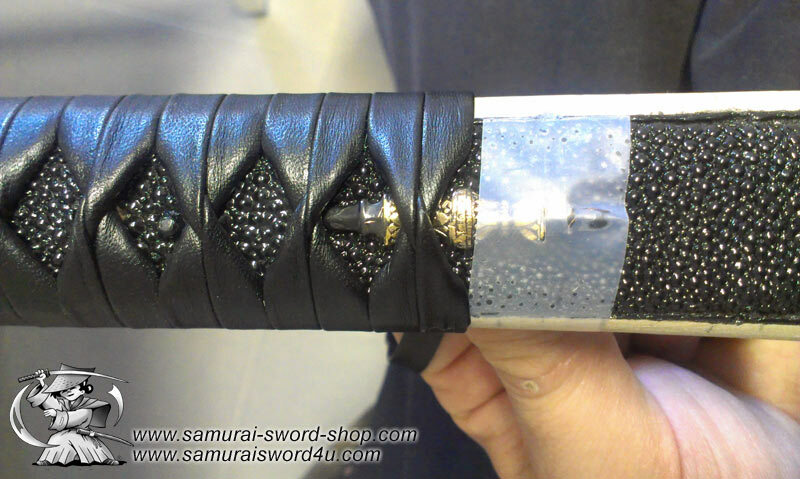 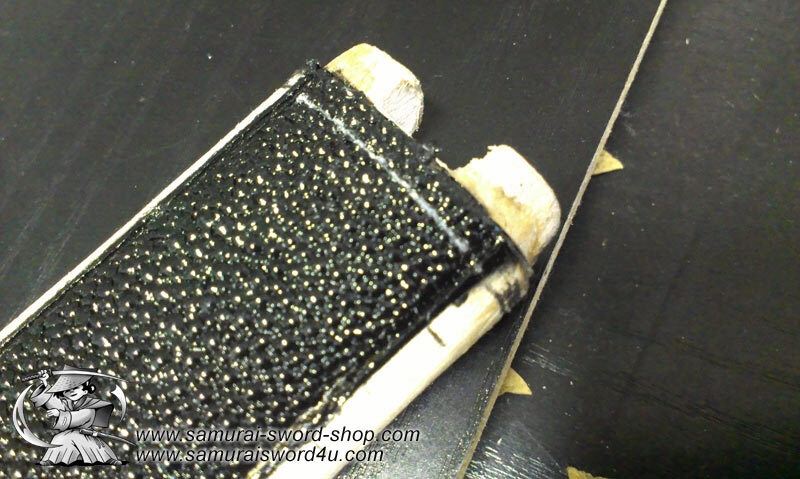 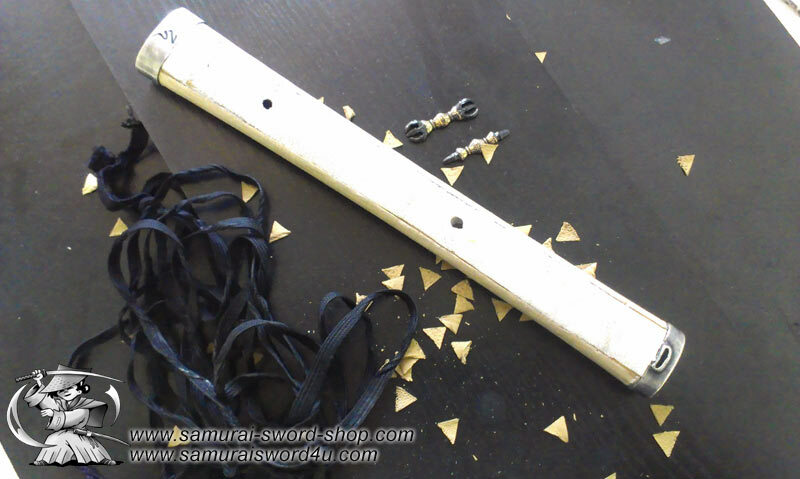 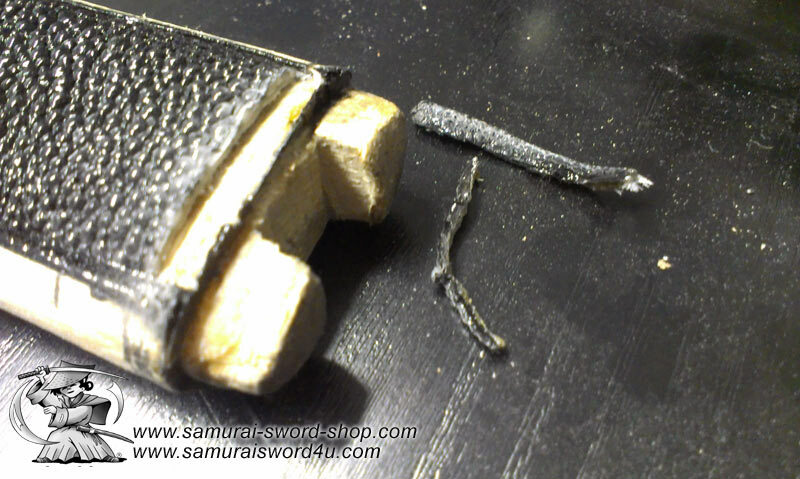 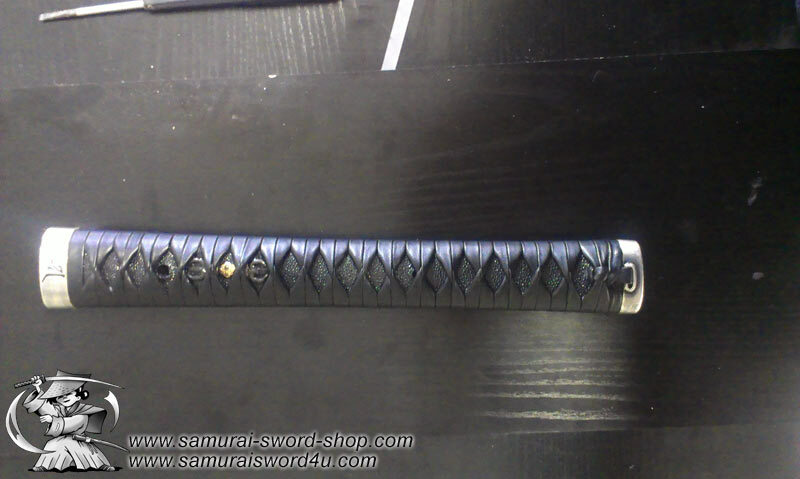 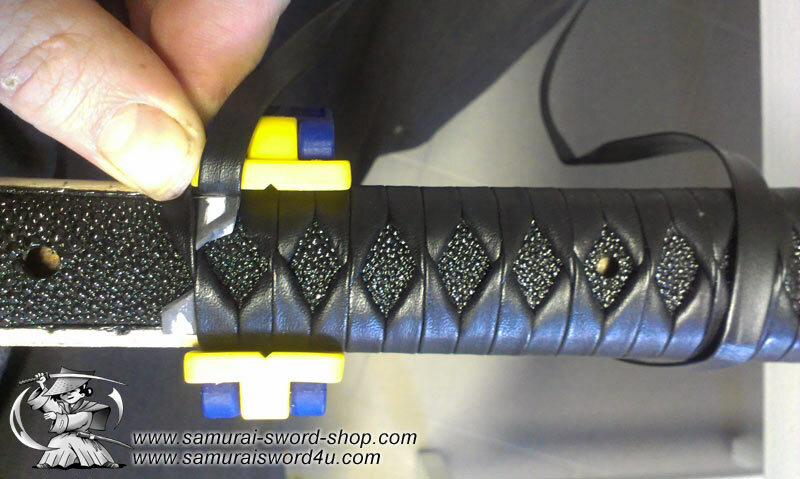 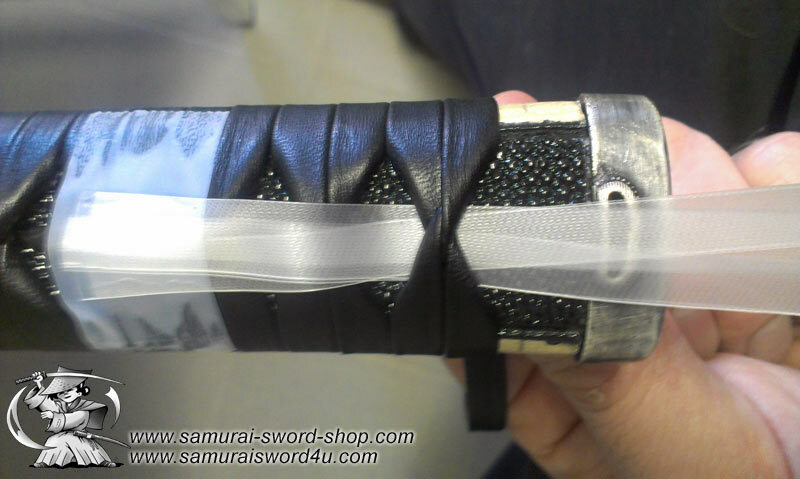 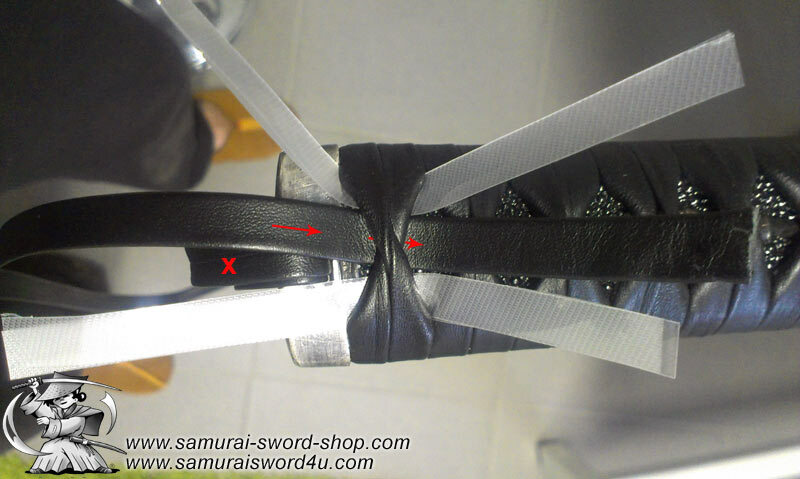 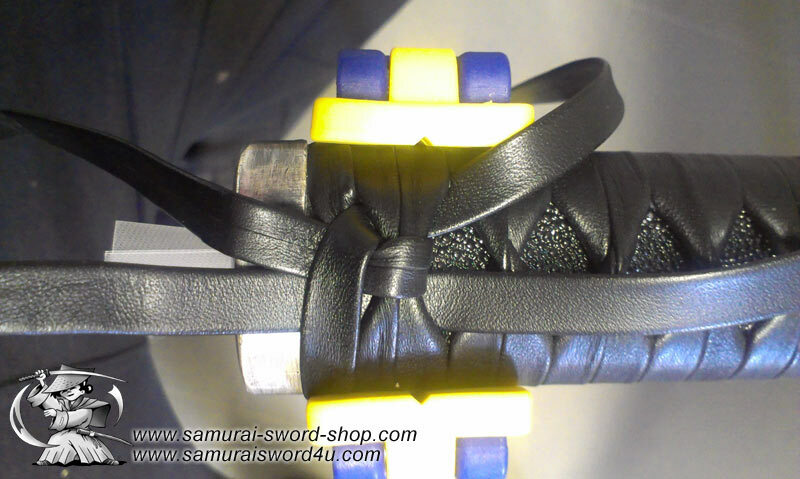 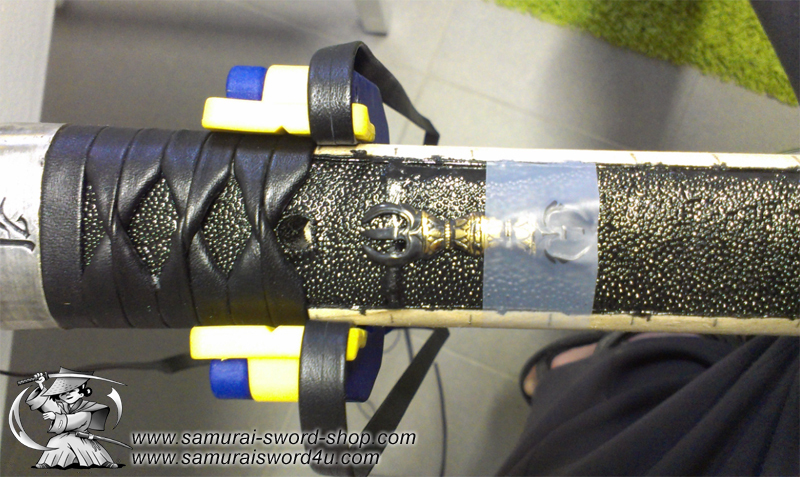 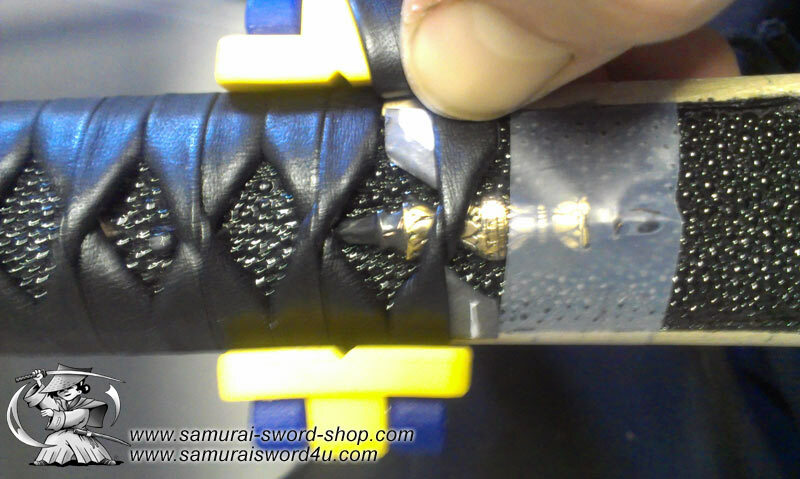 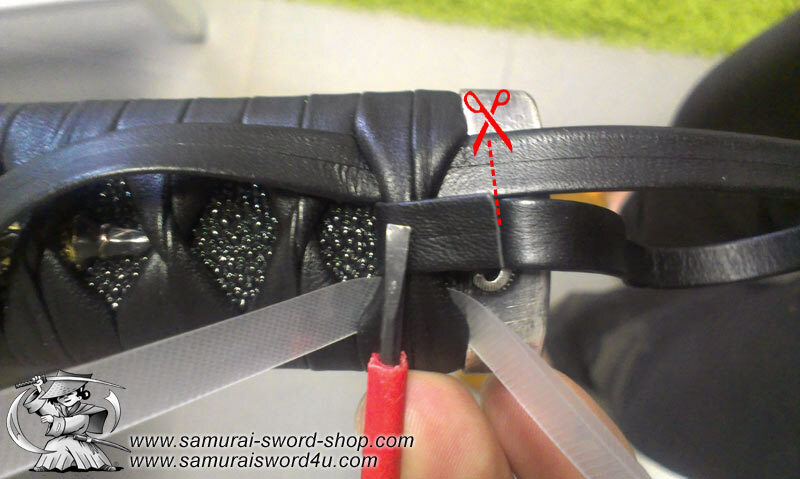 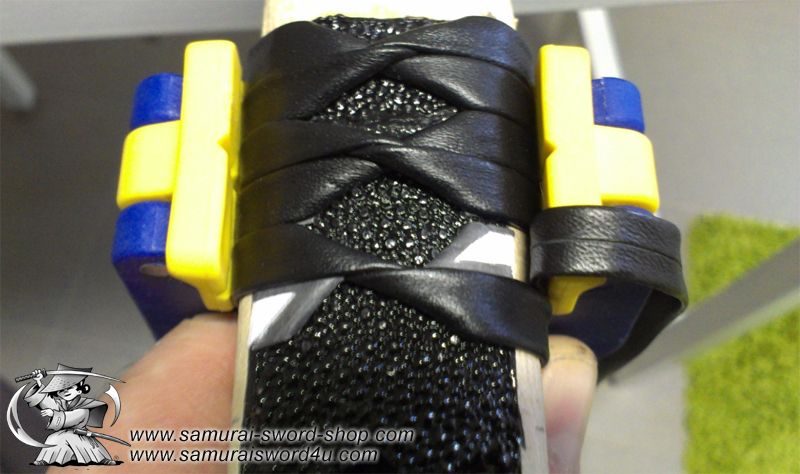 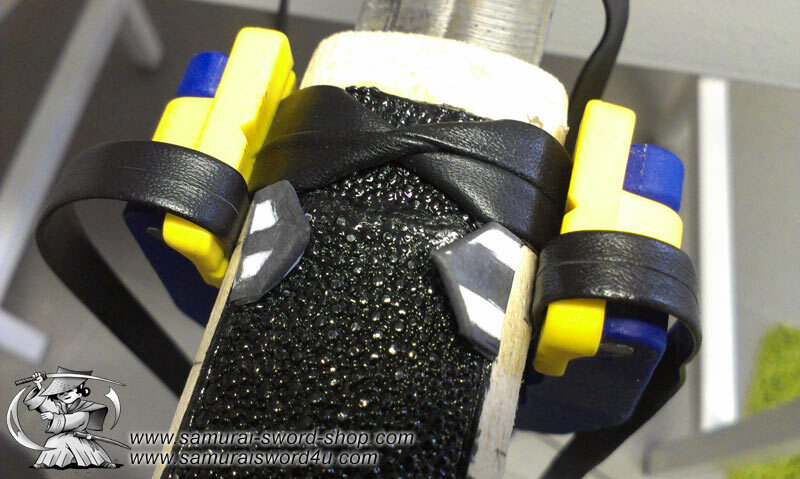 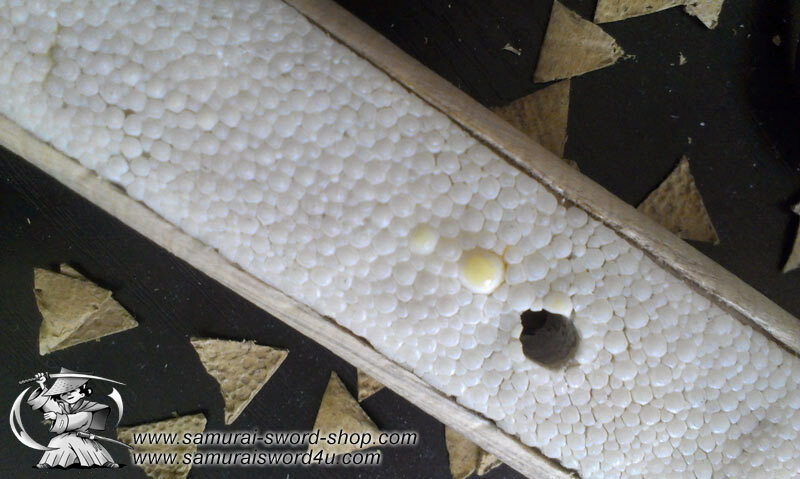 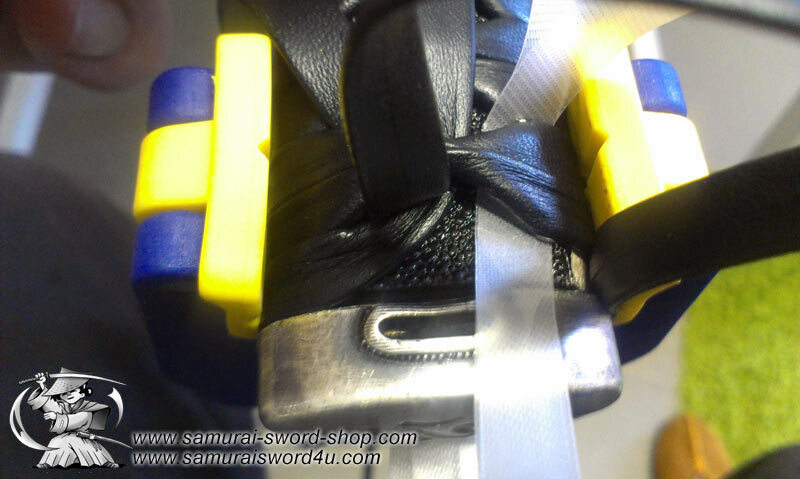 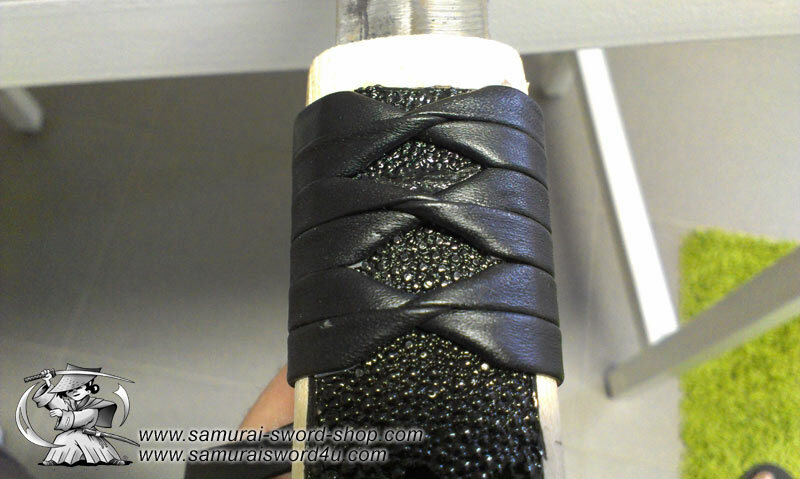 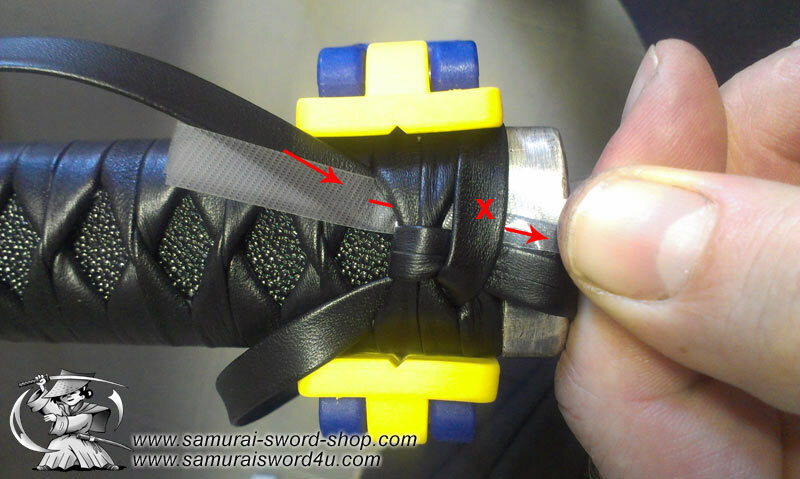 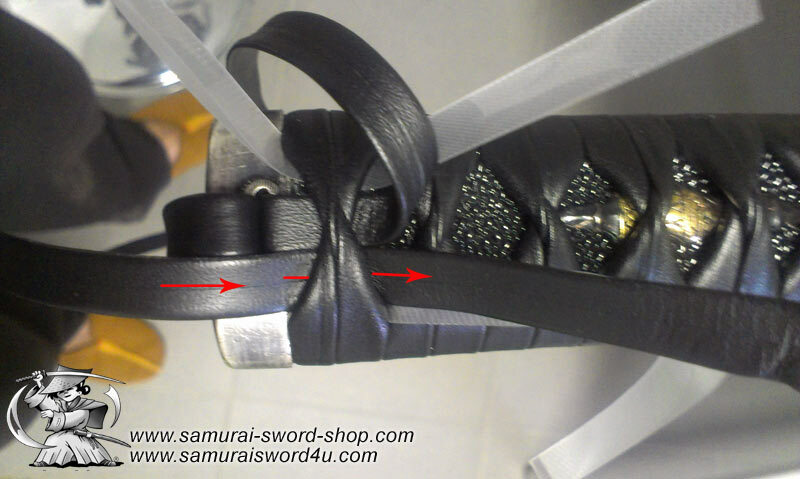 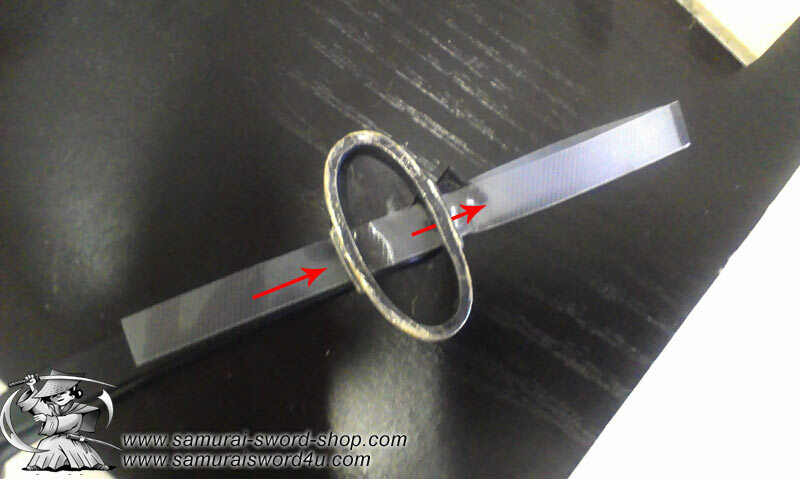 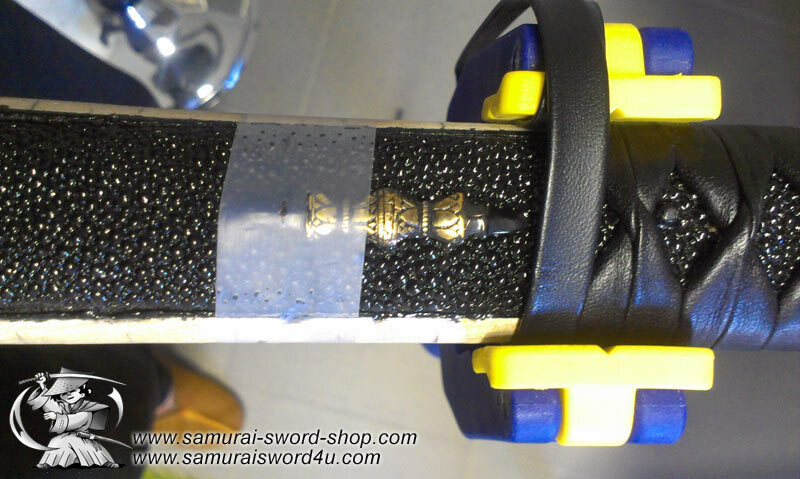 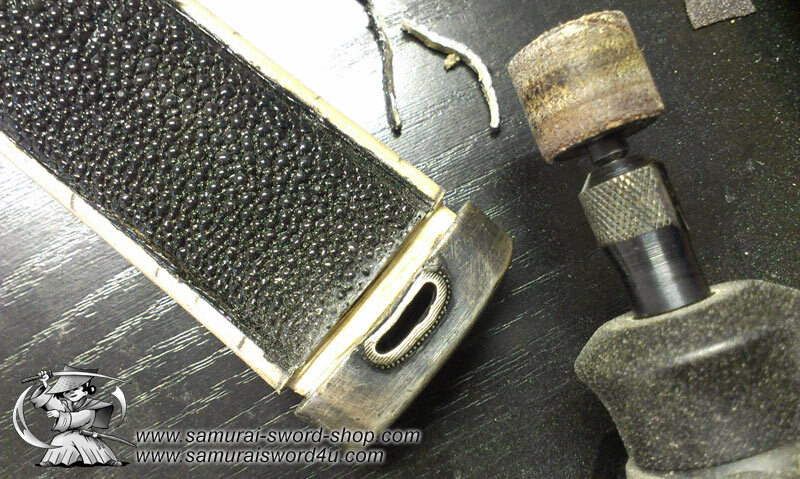 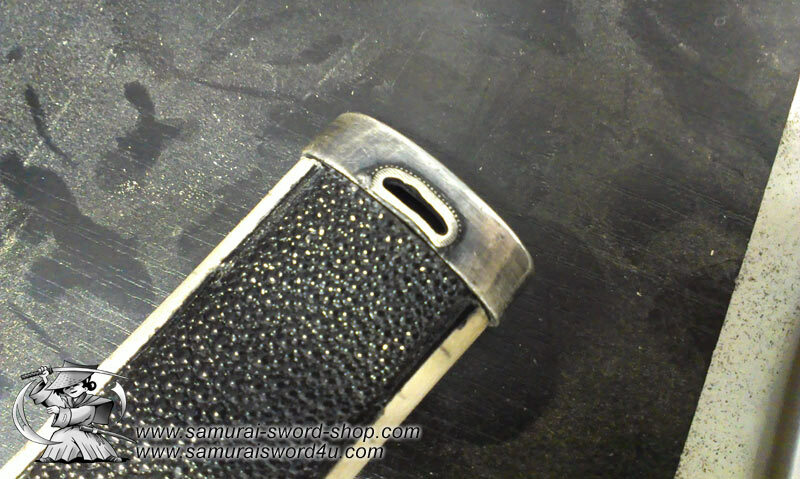 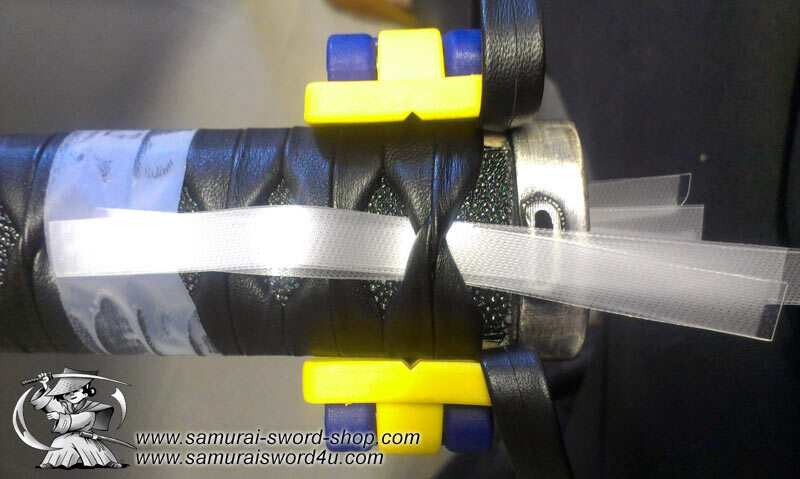 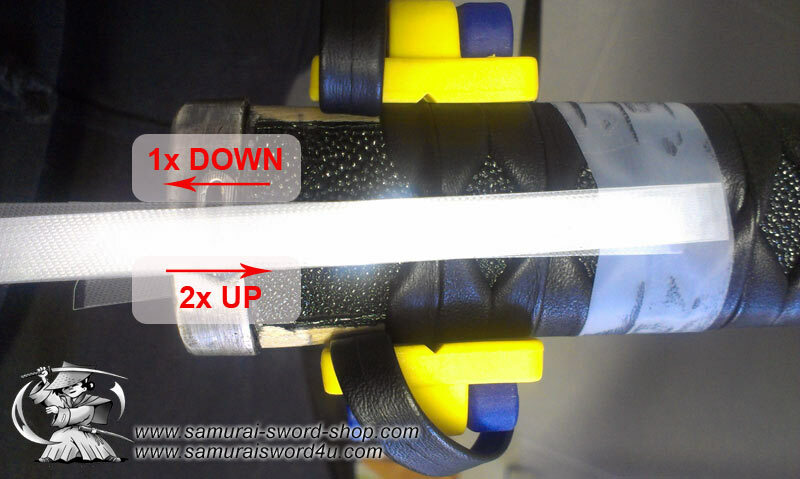 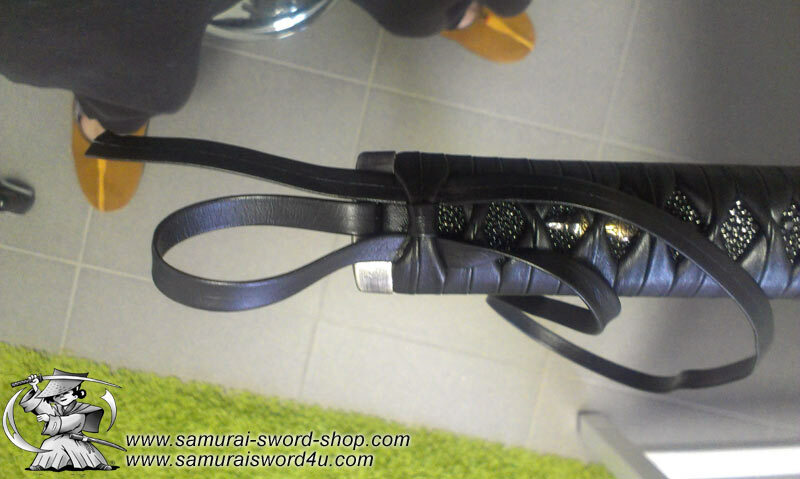 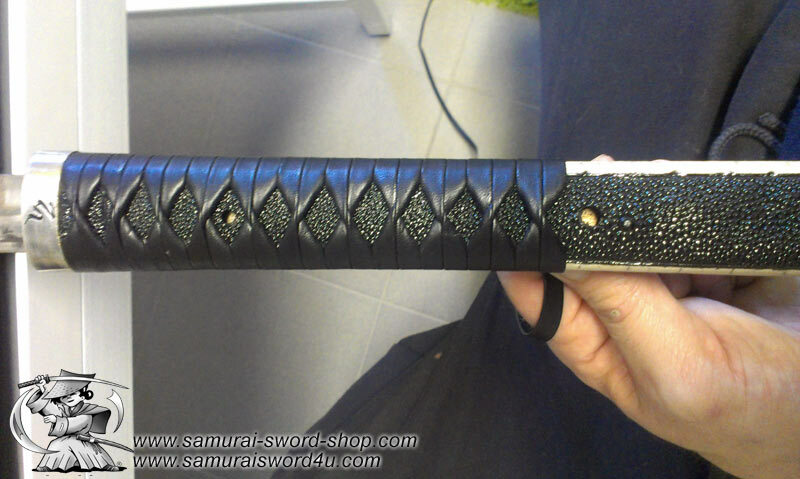 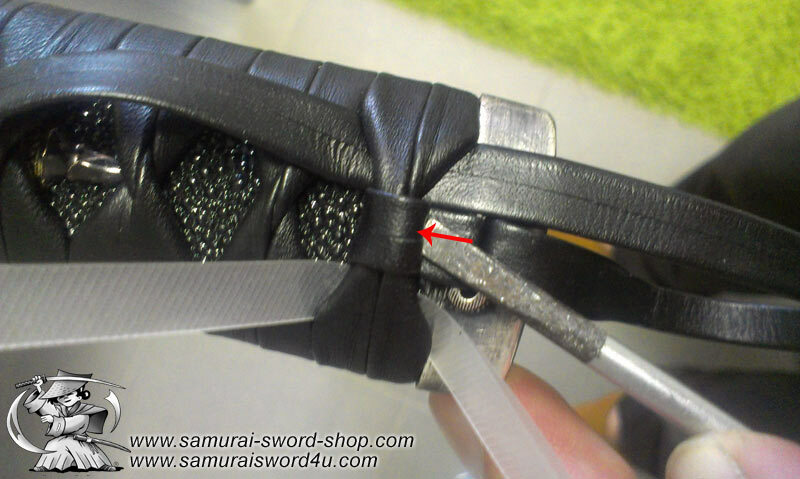 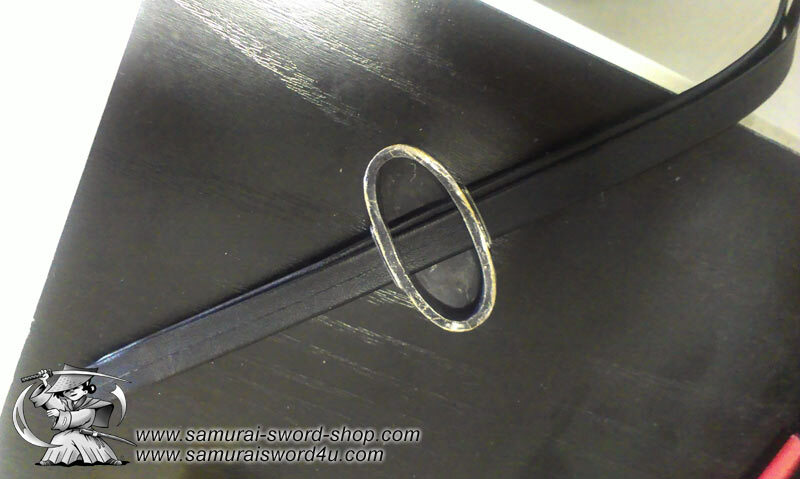 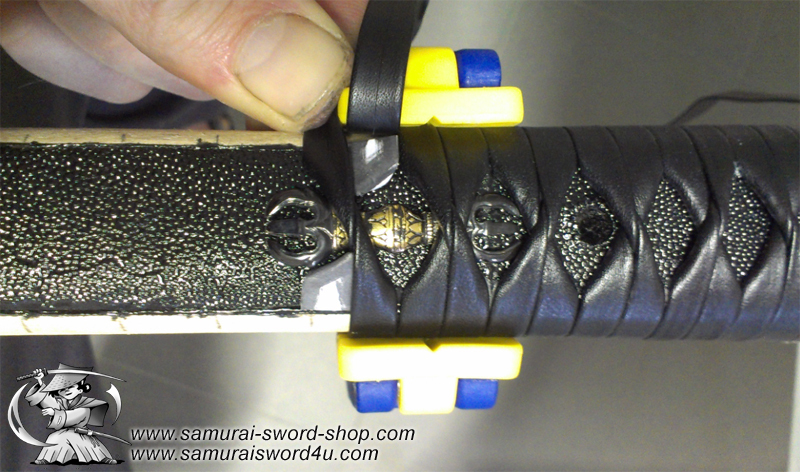 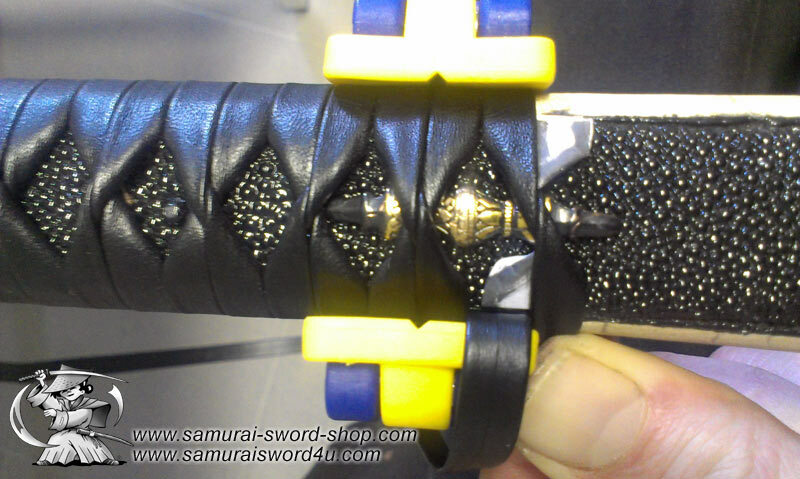 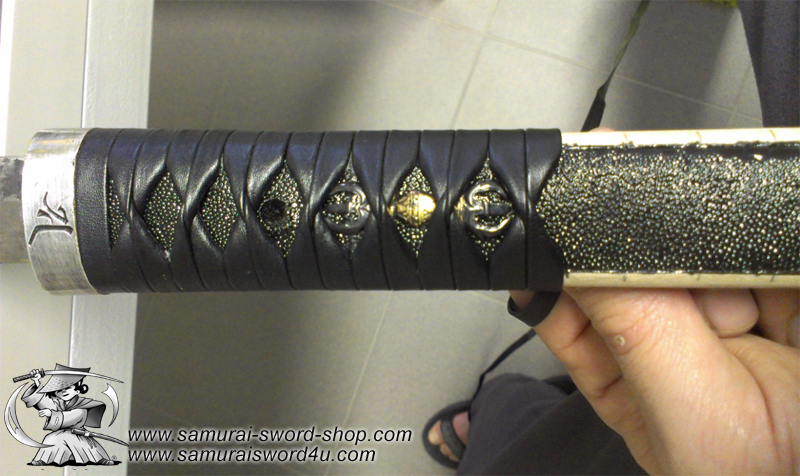 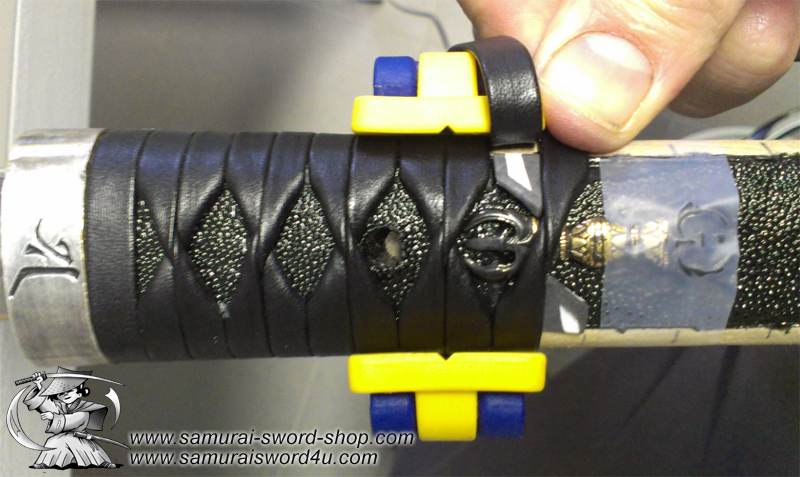 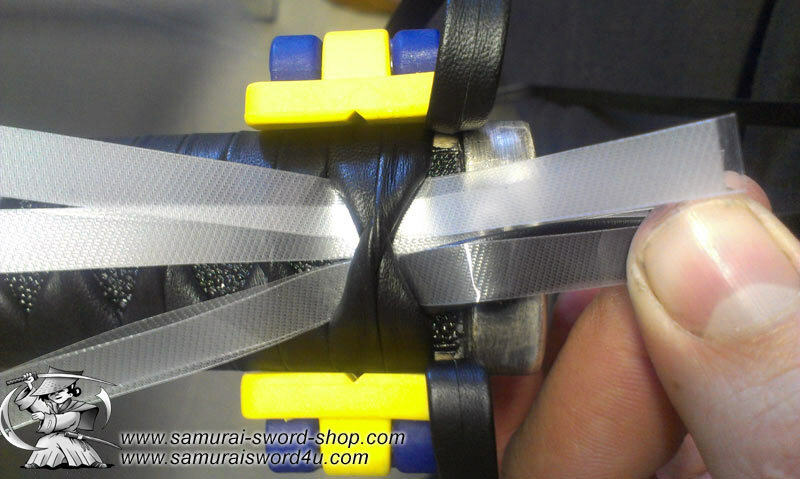 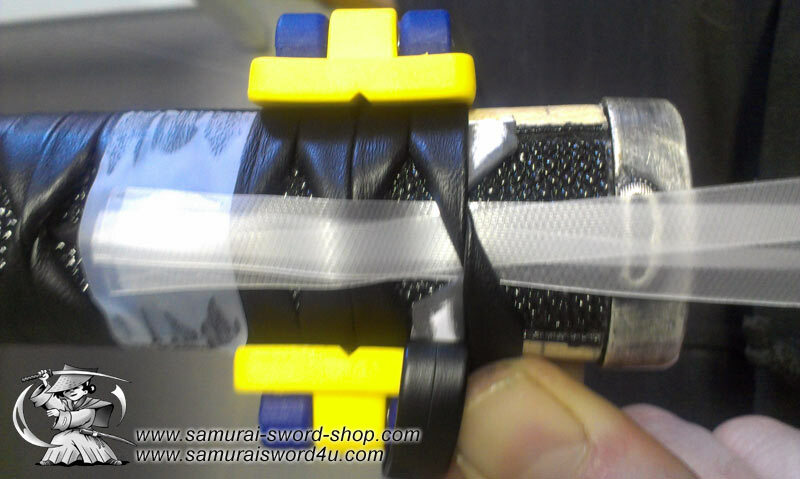 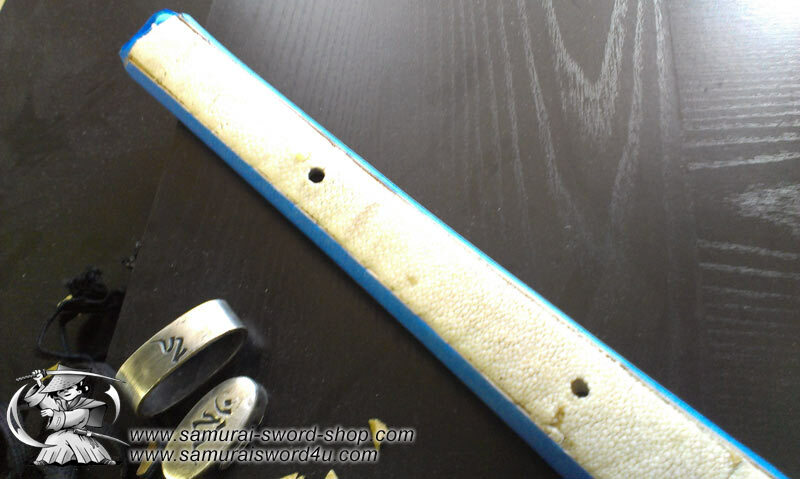 First piece of ito (started from the right side of the tsuka) is placed in the plastic stripe (left one) and pulled under the diamond. 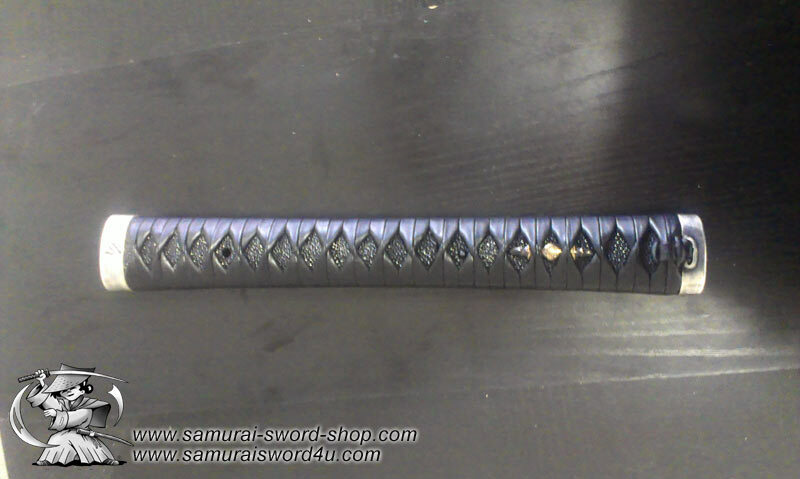 Move the ito to the far left.. 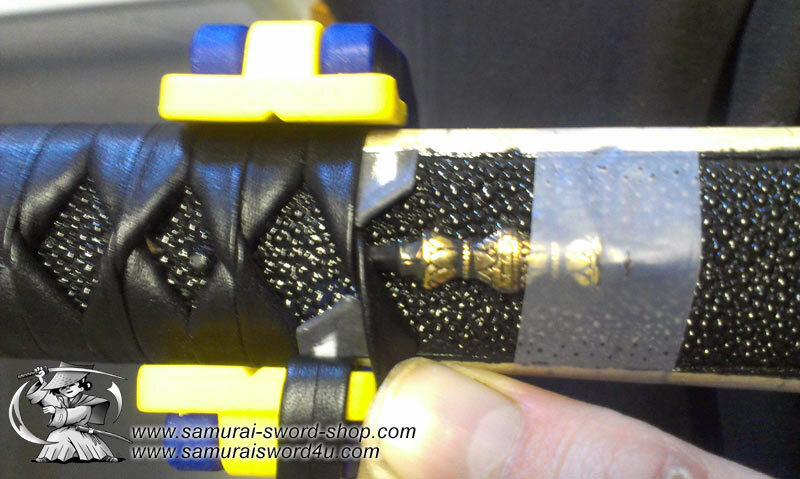 This is a better view i think…. 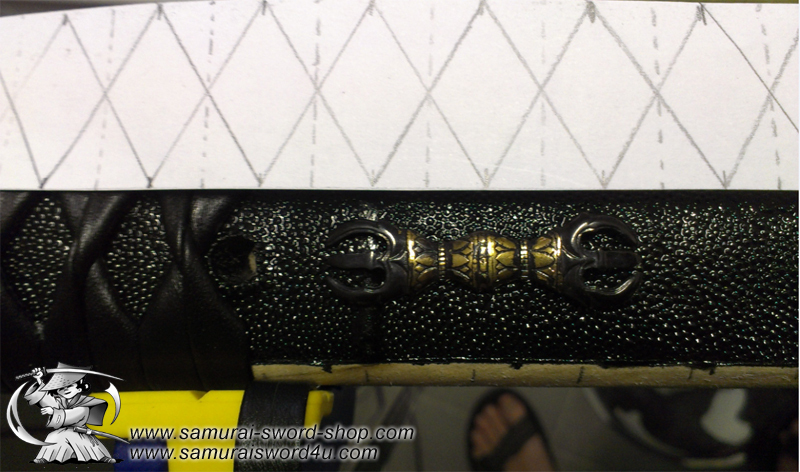 Not really easy to shoot pics while wrapping so maybe some parts are not clear enough. 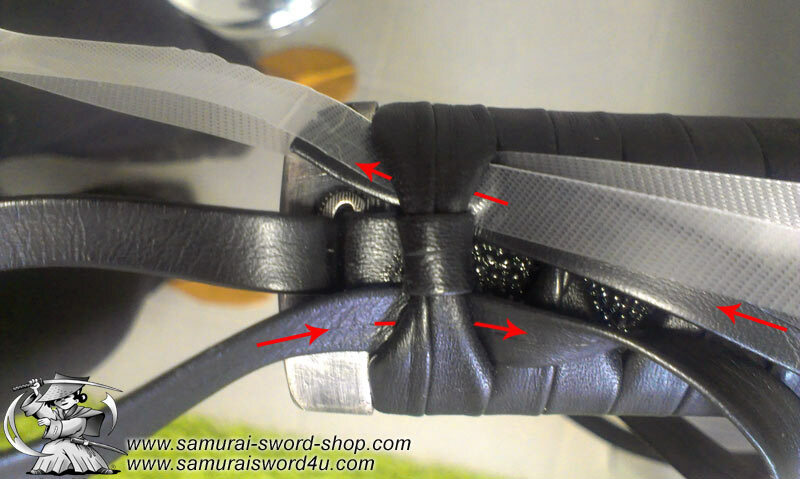 If any questions, just place them here in the comments…will try to answer them as good as possible.